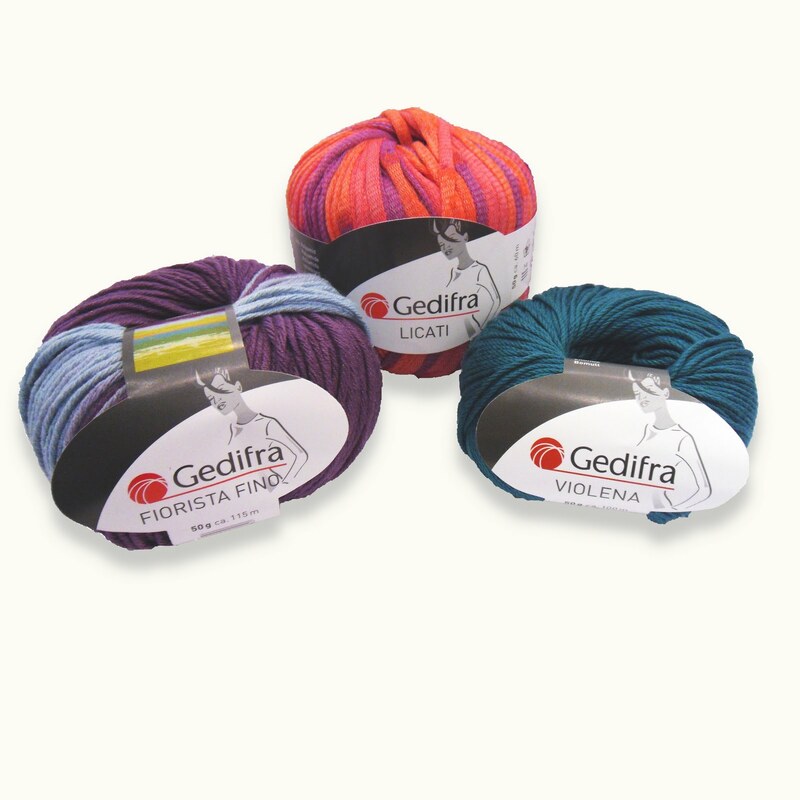 The much-awaited new yarns from Gedifra / SMC have arrived in the Edinburgh shop and we're all very keen to give them a go! We'll have to get used to the new brand name though - Gedifra yarns are being rebranded as SMC (Schachenmayr Company). 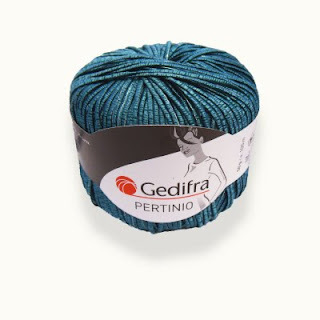 This is the brand that Coats use throughout Europe, and they plan to include all Gedifra yarns under this name. Lucy loved the Rosas, which is a unique yarn woven from a fibre-filled mesh with bobbles. After finishing the christening coat, Susan got straight to work on her next project. 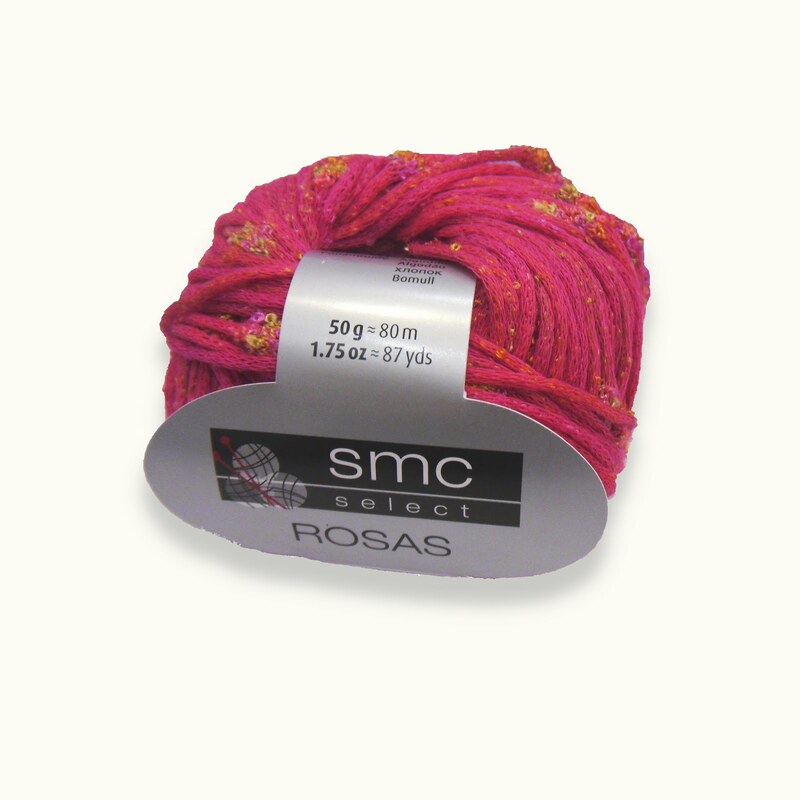 She chose the Pertinino, a tape-style yarn that contains lurex to make it shimmer. 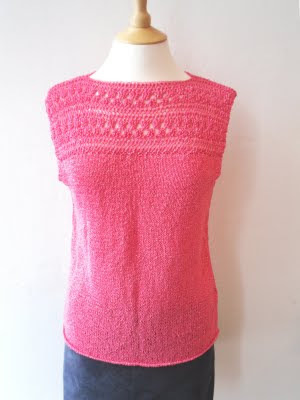 It's a standard DK weight so she decided to knit a top using one of the Sirdar Calico patterns. Susan is such a speedy knitter - how do you like the finished garment?